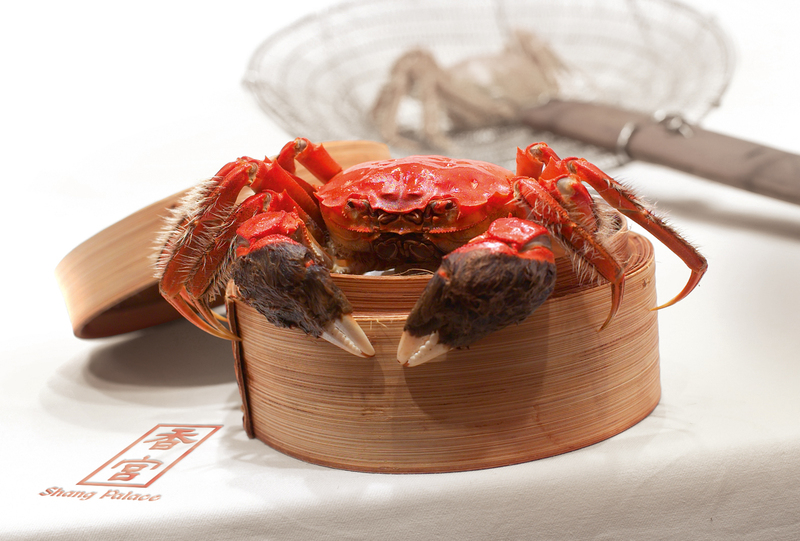 You can enjoy the crab in another style too -- Steamed hairy crab with egg white and hua tiao wine or Steamed hairy crab with glutinous rice and garlic sauce, and Braised crystal noodles with hairy crab roe sauce. Savour Braised bird’s nest with hairy crab roe and crabmeat sauce, Braised lion head fish ball with crab roe sauce, Braised home-made spinach beancurd with crab roe sauce and Braised organic vegetables with crab roe sauce. These Chinese mitten crabs, as they are also called, are a prized and popular delicacy in Hong Kong and Shanghai at this time, harvested from the famous Yangcheng Lake near Shanghai, and Lake Tai in the same Jiangsu Province.